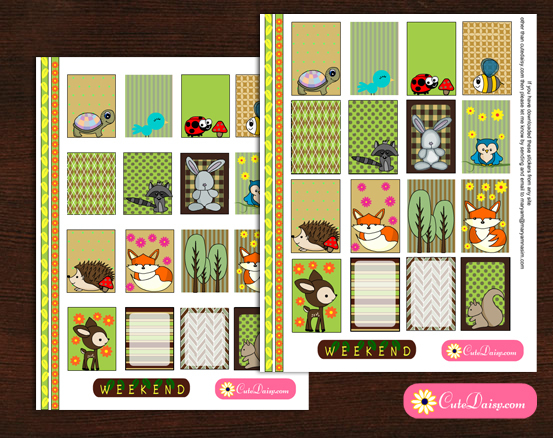 I hope that those of you who own a happy planner have already downloaded spring stickers for happy planner boxes. 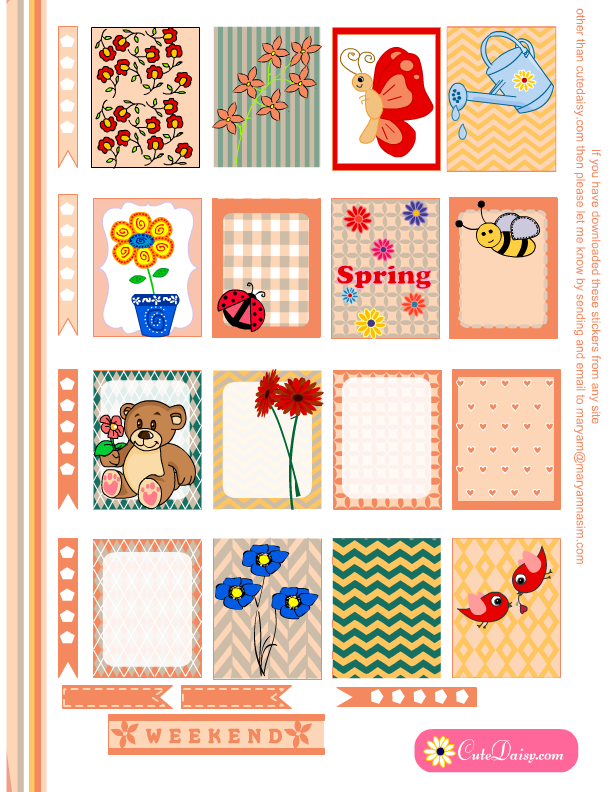 Today I have made Free Printable Spring Stickers for happy planner and erin condren life planner boxes. I love spring so I’ll probably make one more spring themed set in purple and mint colors pretty soon. 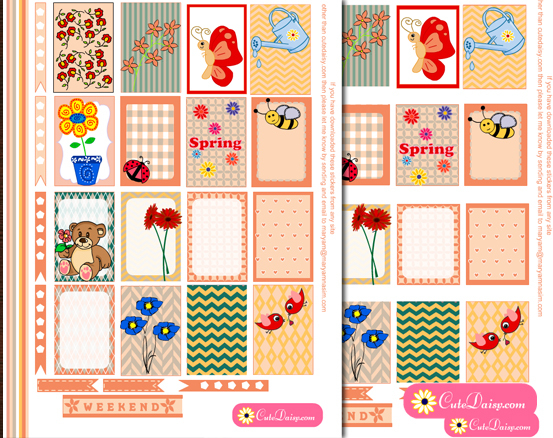 I have also made ladybug stickers and honey bee stickers for planner boxes. 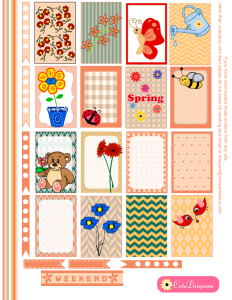 I have used a very different peach and red color palette for my spring stickers kit. I hope you’ll like it. You can also use these stickers as labels to label different items and you can also use these as gift tags. 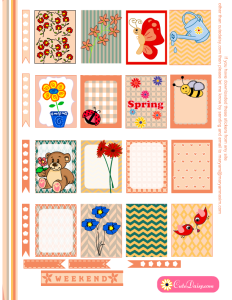 Here are these spring stickers for happy planner boxes in 1.5″x2.25″ in size. 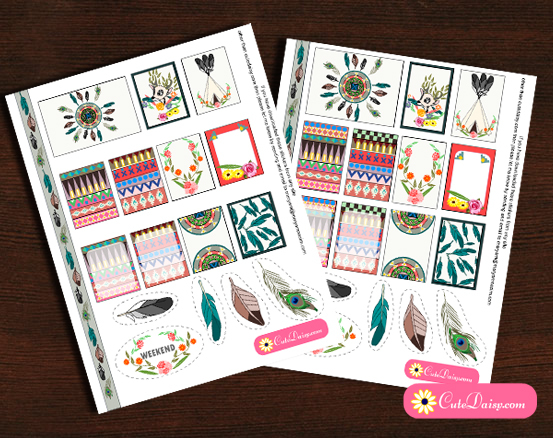 Click here to download these beautiful stickers. I have made 16 stickers for planner boxes, 5 checklist flags, two header flags, one weekend stickers and two washi tapes. 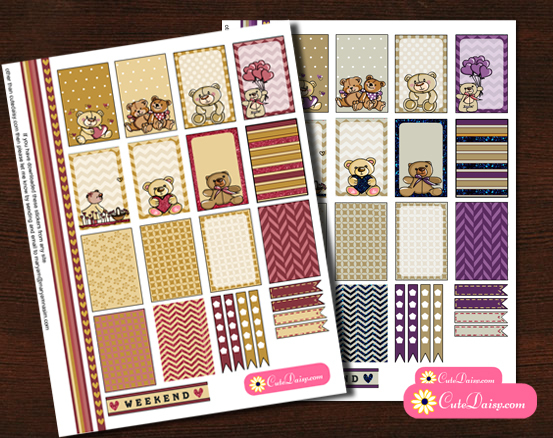 These beautiful stickers are decorated with images of flowers, butterfly, ladybug, honey bee, birds and a cute teddy bear. 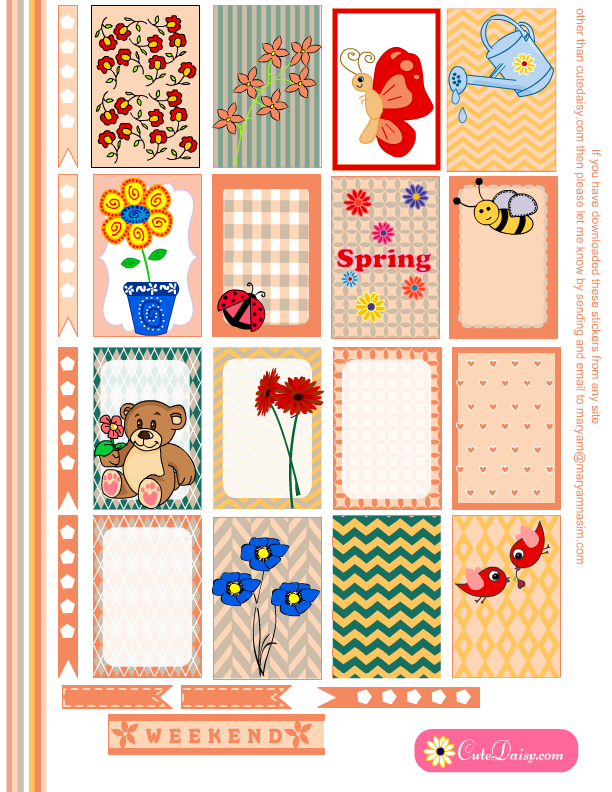 Click here to download these spring themed stickers for your Erin Condren Life Planner’s boxes. These stickers are 1.5″x1.9″ in size. Please leave a comment below and like this post. Do not forget to pin it on Pinterest and share on Facebook and other social media. You are welcome heather. I would look forward to see your spring layouts. OMG…They are so beautiful!!! Love these. 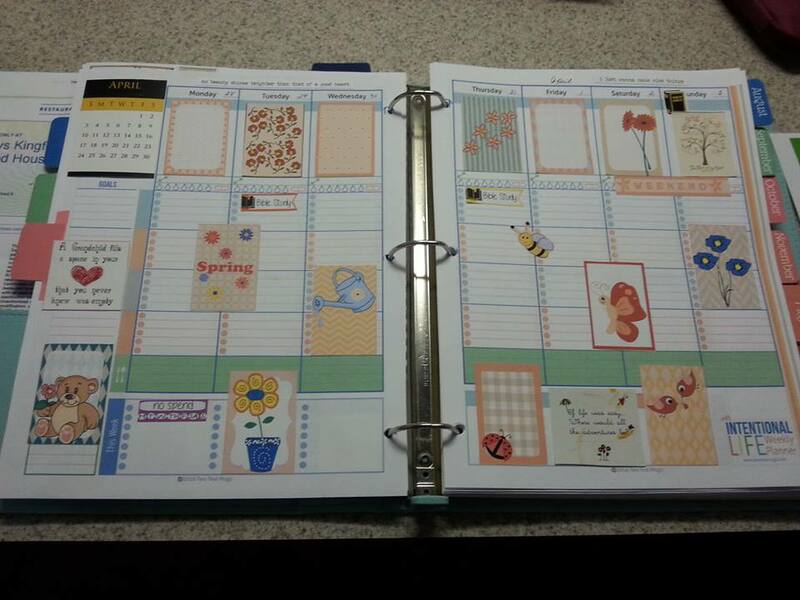 Maryam, I will definitely use them in Spring, they are too cute not to use….